Happy 18th Birthday, The Sonic Stadium! That’s right! On this very day, at the turn of the new millennium, The Sonic Stadium formally opened its virtual doors to the world. It was a very different world back then – people used Yahoo to search for things online instead of Google, Napster was the fresh new way to download music (not altogether legally), the hottest ‘meme’ was the Hampster Dance and the Sonic online community was just getting started. Continue reading Happy 18th Birthday, The Sonic Stadium! 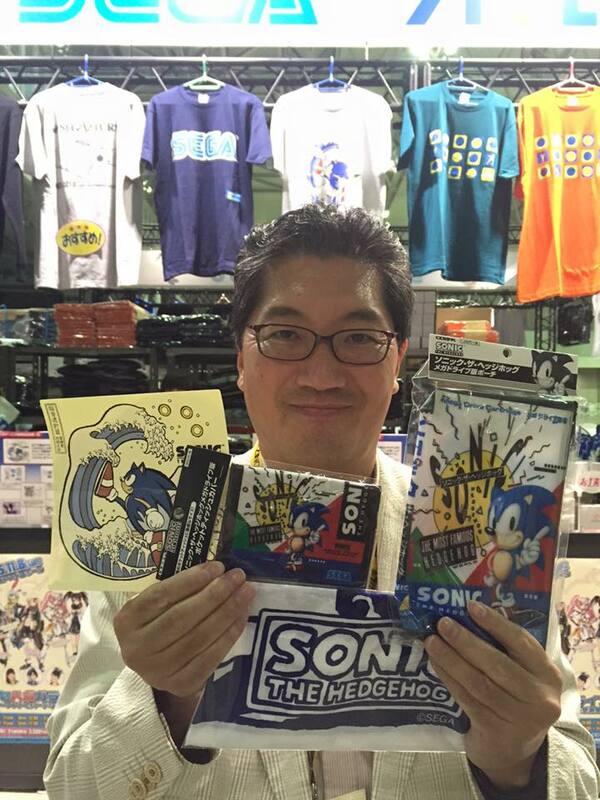 Yuji Naka, the master coder that was responsible for programming the original Sonic the Hedgehog, turned 50 years old yesterday. Doesn’t time fly!? The former SEGA developer – left the company in 2006 to start his own independent studio, Prope – received a wave of well wishes on his social media channels. Naka-san spent the week enjoying Tokyo Games Show, where he has taken pictures of Sonic and SEGA merchandise available for sale at the event. 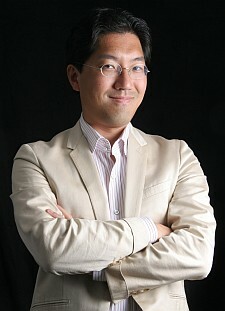 Although he has not been associated with the Sonic franchise for quite some time, he is regarded as one of the main ‘fathers’ of the blue blur, deftly creating a game engine in the early 1990s that allowed a character to use curved environments to reward players with bursts of speed. He became a spokesperson for the franchise during his time at SEGA, eventually leading the Sonic Team division during the Dreamcast era. For Sonic’s 20th Anniversary in 2011, he attended SEGA’s Sonic Boom event as well as the fan-organised Summer of Sonic convention. His latest game, Rodea the Sky Soldier, is seeing a release on the Wii U later this year. With a seemingly undying love for Ferraris, we’re pretty sure Naka-san will continue to be cool for many years to come! Sonic & Tails wish Sonic a happy birthday, guest starring Ryan Drummond! A person with the name of FlutterTreeMuffin on YouTube teamed up with Ryan himself to bring you the above video featuring Sonic and Tails. It’s a really sweet gesture and a wonderful treat to hear Ryan behind the mic as Sonic even if it’s unofficially again after so long (he did play as Sonic on camera in an interview not that long ago). For reference, Ryan voiced Sonic starting from Sonic Adventure on DC in 1999, and ending with Sonic Advance 3 on GBA in 2004. What did you think of it? Let us know in the comments! Happy Birthday TSS! PLUS BONUS ANNOUNCEMENT! The Sonic Stadium is eight years old today (and it was Cephrien’s birthday a few days ago too, so happy birthday to you too). It’s hard to imagine that this little site of mine would be so involved in an international community like this, but we’re here today amongst other awesome websites like Sonic Retro and Sonic Fan Games HQ, and man is it all good. As you may be aware, I’ve been chronicling the years of TSS, from beginning to end (we’re at 2001 at this moment in time, but over the course of the next week you’ll learn more about the last few years too) in celebration of what this website has achieved in its lifetime. Needless to say that (trumpet blowing time) the impact The Sonic Stadium has made on the Sonic the Hedgehog community is nothing to be scoffed at. The Sonic Site Awards gave smaller Sonic sites (including TSS at the time) a chance to be seen amongst the big boys. The approach I made to Sega Europe in 2005 has led to the publisher gaining an interest in their target audience, which led to the creation of their Community department, the Sonic City website and the arrival of everyone’s favourite neighbourhood Sega-man, AAUK, to take pole position of what’s going on worldwide. The TSS Network helped raise the profiles of numerous fellow sites, including FastFeet Media and Sonic Cage Dome. And then of course, you have my latest creation. Something that I am probably the most proud of besides TSS itself. The Summer of Sonic, which can essentially be called two creations under one name. Originally a website, it was born out of a concept I had waaaay back in 2001; that there should be a Sonic fansite where every single prominent webmaster should contribute to. At the time, the idea was to have a Community website that involved myself, Tristan from TSSZ (who was a lot less controversial than he is now arguably), Sonic HQ, The Sonic Foundation, Shadow of a Hedgehog… it would be a site where the whole community got involved and contributed to. Continue reading Happy Birthday TSS! PLUS BONUS ANNOUNCEMENT! Happy 10th Anniversary, Sonic the Hedgehog! Today marks the tenth Anniversary of the Way Past Cool video game character, Sonic the Hedgehog. His first game was released on June 23 1991, and this has been officially recognised as his birthday. 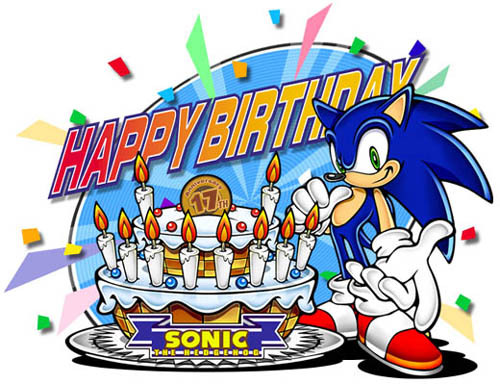 So, happy birthday Sonic!